I normally take my car to another "fast" exhaust, tyre, and shock absorber fitting company - but on recommendation this time took it to Supa Quick in Brackenfell (map). I was so impressed by their service that I decided to snap this photo and write a short review. Let me say that I never shopped around - so I don't know if R2686 was a good deal for 4 shock absorbers, but I'm so tired of poor service, and figured that since my dad (a demanding customer of note) recommended them, I was almost assured to be happy. For the record, I realise that it may sound that way, but I haven't been incentivised to write this review - I'd just like to give credit for a job well done. Posted in General and tagged shop on Thursday, 12 August, 2010 by Paul. I concur! 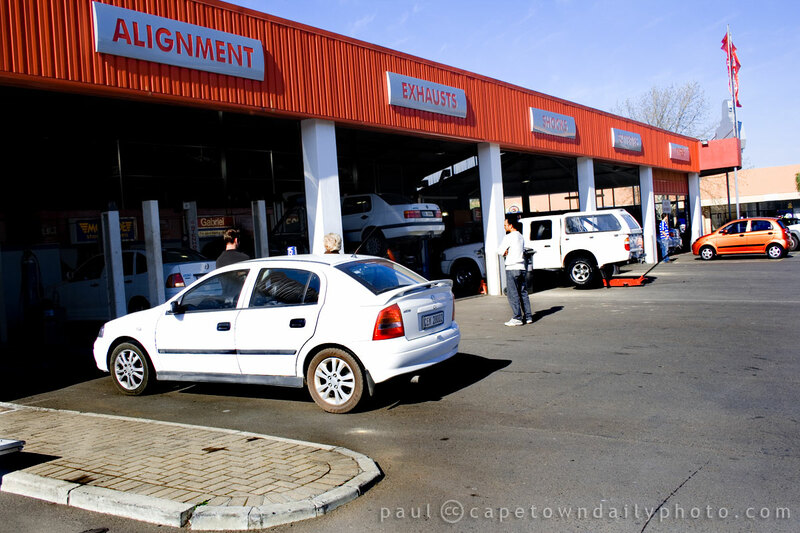 I’ve taken my Citi Golf and my Corsa Utility vehicles there and their service was really good! It’s nice having a place where you can take your vehicle and be able to trust the people who will be working on it. On a related note, Eurotech in Stikland is also great for more mechanical stuff!